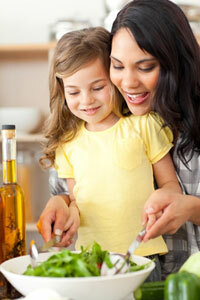 Help your kids get into the mindset of living a healthy lifestyle. Children who develop healthy lifestyle practices from a young age will grow into happy, healthy adults. Check out these resources designed to help children maintain well balanced diet and proper hygiene, stay active, keep their minds sharp, and more. Tips and tools designed to help you and your child care for her teeth together. 4th Annual Healthy Lunchtime Challenge!